The main official photographer task will be to capture all the mayor events of the festival, along with specific assignments depending on each photographer’s signature style. We’re looking forward to applications from photography enthusiasts and professional photographers who do not represent any media. All photos that will later be used for the festival’s communication purposes will be credited. ““Happy @positivus tiredness.” That was my Twitter entry on July 22nd 2013 at 3:17am while heading home after three eventful festival days. Positivus festival is something magical – so many great musicians, incredible performances, happy, elated and beautiful visitors. There are so many emotions, so much joy and countless shimmering looks, all best visible from the camera objective. The organizer’s scheduling and attitudes were also great – it was always clear what was happening, when and where. To sum it up - it’s amazing to do the thing you love, with great people, atmosphere and brilliant music in between.” tells last year’s official photographer Inga Plūme. 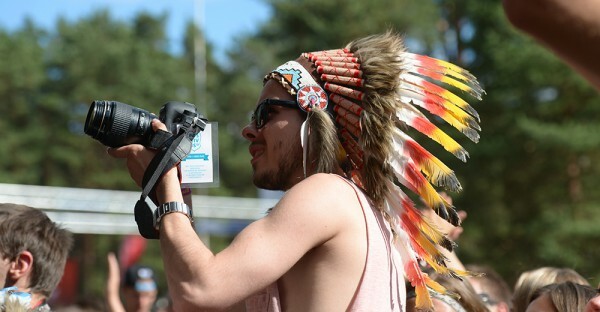 All festival enthusiasts that are into photography and who have always dreamed of covering the festival are welcome to submit their portfolio until June 20th 12:00 to foto@positivus.com with the tag “Positivus 14 photo”. After the portfolio evaluation, the Positivus team will choose and personally contact 10 photographers. The festival 3 day ticket without camping currently costs EUR 57,00 and a 3 day ticket with camping costs EUR 63,00. Tickets are available at www.positivusfestival.com and in all Biļešu Serviss box offices. Ticket prices are set to increase.